The City Homes at Markley are located next to the Kroc Center near the Swamp Rabbit Trail. These homes offer urban features and a modifiable floor plan based on the owner’s specific needs and wants. 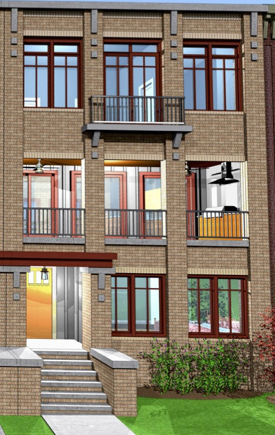 All homes include impressive views of the ever-growing downtown area of the City of Greenville. The City Homes at Markley are ideally situated only minutes from the City of Greenville’s bustling downtown area. 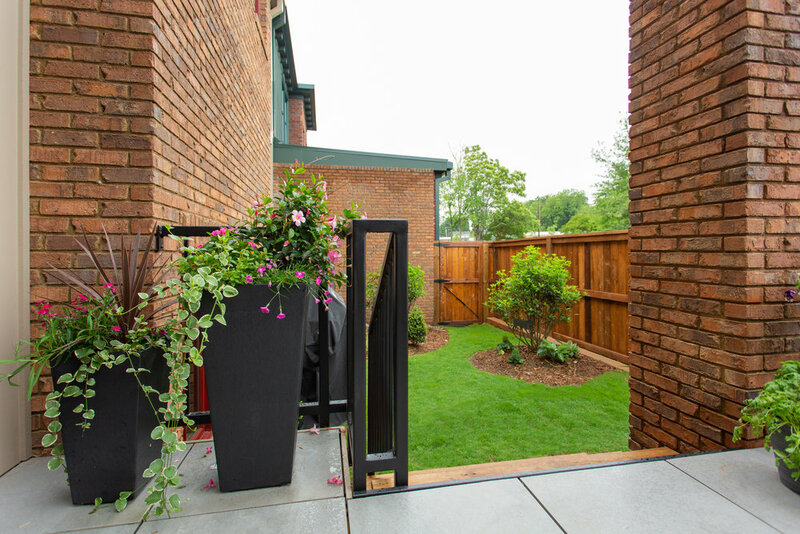 Additionally, City Home at Markley residents find themselves within walking distance to an array of outdoor activities including the Swamp Rabbit Trail and Fluor Field, home of the Greenville Drive baseball team. Heated – 3030 Sq. ft. Outdoor Living – 454 Sq ft.
Garage – 409 Sq ft. Heated – 2515 Sq. ft. Outdoor Living – 301 Sq ft. Car Shelter – 426 Sq ft. This is a hard-working home. Every single inch has a purpose. This City Home at Markley (West End Floorplan) was featured in the April issue of Greenville TALK. You can also find City Homes at Markley in the pages of AtHome Magazine, Spring 2017.